Protect your valuable cell cultures with CO2 incubators that afford proven reliability, exceptional contamination prevention, and optimal growing conditions. In addition, our robust portfolio of microbiological incubators and environmental chambers offer outstanding temperature uniformity, stability, and reliability. Carbon dioxide incubators providing in-vitro environments with proven contamination control solutions. Assure that valuable cultures are secured, protected and thriving, delivering optimal growth and security. Our range of Thermo Scientific™ Forma and Heraeus CO2 incubators provide a wide range of sizes and technologies, combined with contamination prevention solutions, offer stability, reliability and peace of mind. Successful incubation depends upon the environmental conditions. Trust that your valuable samples are safe within a microbiological incubator that provides reliable results through innovative features, including dual convection technology, automatic temperature alarms, and advanced decontamination. Environmental chambers ideal for demanding laboratory applications where precise temperature control is a must. 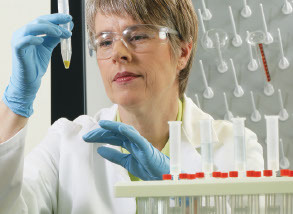 Gain greater flexibility in laboratory protocols by selecting products designed for a variety of applications, such as clinical experiments, elevated temperature stability studies and shelf-life testing. Produce consistent, reliable results with our line of accessories, including access ports, shelf kits, door option accessories, cell roller unit, condensate evaporator, and more. Our wireless monitoring solutions monitor critical parameters for both stationary equipment and the cold chain, making cold storage tracking easier than ever.